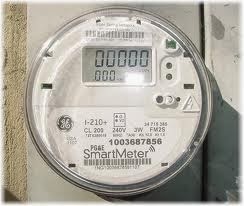 Utility companies are replacing electricity, gas and water meters in Nevada with new generation “smart” meters at an unprecedented rate. Take Back Your Power investigates the benefits and risks of this ubiquitous “smart” grid program, with insight from insiders, expert researchers, politicians, doctors, and concerned communities. Transparency advocate Josh del Sol takes us on a journey of revelation and discovery, as he questions corporations’ right to tap our private information and erode our rights in the name of “green”. What you discover will surprise you, unsettle you, and inspire you to challenge the status quo. According to the Occupational Safety & Health Administration (OSHA) of the U.S. Department of Labor, RF radiation is absorbed throughout the human body and can cause damage by overheating cells. Extremely Low Frequency Radiation (ELF) Extremely Low Frequency (ELF) radiation at 60 HZ is produced by power lines, electrical wiring, and electrical equipment. Common sources of intense exposure include ELF induction furnaces and high-voltage power lines. Radiofrequency and Microwave RadiationMicrowave radiation (MW) is absorbed near the skin, while Radiofrequency (RF) radiation may be absorbed throughout the body. At high enough intensities both will damage tissue through heating. Sources of RF and MW radiation include radio emitters and cell phones. Laser Hazards Lasers typically emit optical (UV, visible light, IR) radiations and are primarily an eye and skin hazard. Common lasers include CO2 IR laser; helium - neon, neodymium YAG, and ruby visible lasers, and the Nitrogen UV laser.